In a 2011 study, the CDC (Centres for Disease Control and Prevention) found that fewer than two in 10 Americans receive the recommended levels of exercise; while more than a quarter of U.S. adults do not devote any time to physical activity. There is a direct correlation between people who suffer from diabetes, hypertension and inactivity. A young, professional needs to be at the top of her game – in all aspects of her life! She should be en pointe, ready for the boss to throw questions at her, catching balls and juggling them seamlessly, right? Some days I think I’ve joined the circus! 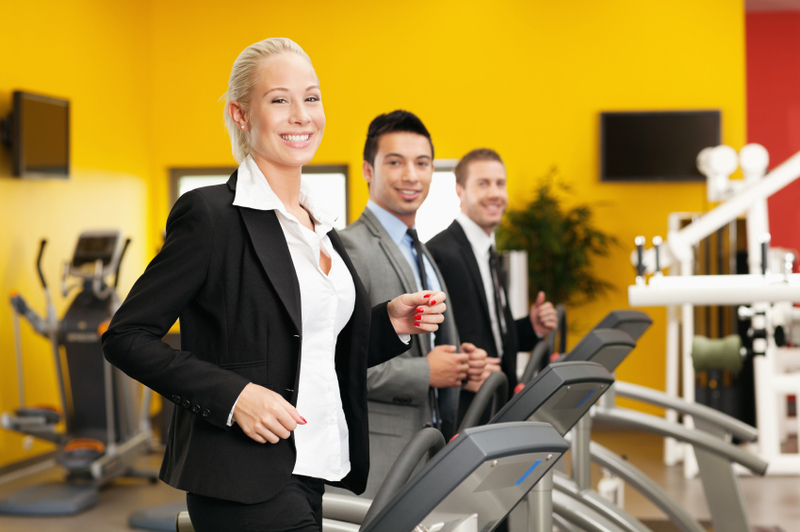 Be at the top of your game in business, and stay fit! How Can a Young Professional get ahead, but stay fit too? There is nothing like a team sport to keep you motivated. All my life I have played soccer, but within the past few years soccer has fallen to the way-side. After coaching a boys age 9-11 soccer team last summer, I knew that this summer would be about me! In the spring I joined an adult, co-ed soccer team, and loved every minute of it. Sunday afternoons were spent on the soccer field, where I attained a nice, rosy sunburn (sigh). The whole point is to get out there and have fun. Many co-ed teams try to keep the game friendly and less competitive. Personally, I love to win, so playing for “fun” worked against my nature, but I still got a nice work-out and connected with some great people. Sports teams are also a great way to “network” and meet new people. For the young, business professional, there can never be enough networking! You never know when an opportunity may come your way. Join classes at the gym. You think everyone’s staring at you, you say? Believe me, they are not. The minute you start thinking that someone in that spin class is staring at you sweating, stop. People are worrying about themselves! This happens in most situations in life. Ever felt awkward in a meeting? Hold your head high and push forward, people are not thinking about you, they are worrying about themselves; how they look, what to say next, and who to say it to. For the most part, people will not remember a lot of what you say; mostly because they are worrying about their next step. This too is true in workout classes. Taking a class with other people will push you further. The group atmosphere drives you to finish with the class – and not a moment before. “I’m just too busy to work-out!” Do you know how many times I have said this? It’s not about taking out an hour to fit in some physical activity. Start working out for only 10 minutes a day, and increase from there. Workouts are most effective when completed in high out-put intervals. An example of high interval training is CrossFit. If you do not have the time to make it to a CrossFit gym, while watching your favourite television show do some push-ups on a commercial break – reach 50 or 100 push-ups by the end of the 60 minutes show. Set reasonable goals for yourself, once you’ve reached them, reevaluate and come up with new goals to meet. Another great way to start small is to have a trainer come to you! Trainers on Site is a work-out option for people who need that extra push in the morning, or at any time! Conduct your life in business in the same way. Set career goals for yourself from the beginning. Be honest with yourself and assess your progress quarterly. Always reach for more; complacency is a killer. If you do not work hard, there is someone else behind you dying to take your place. Working out while staying busy at work takes a mind shift. Starting is the hardest part. It’s like a bolder rolling down hill. At the beginning, it was difficult to shift that rock, but as it rolled down the hill its speed increased and next thing you knew it was flying! It’s all about making a promise to yourself to take a few moments out of the day to attend to your needs – not your boss’, not your significant other’s – yours. A young professional has the ability to take on the world – but without her health – she has nothing!